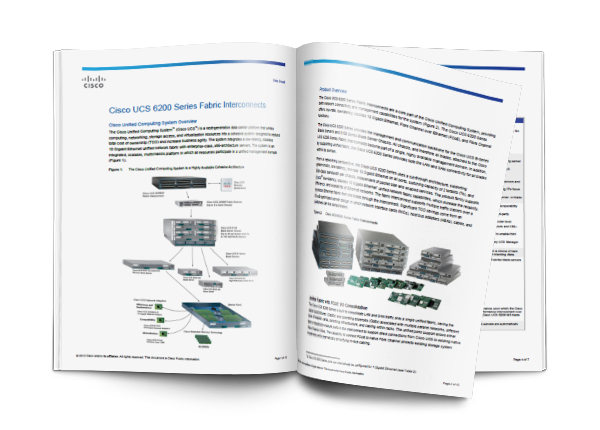 The Cisco® Unified Computing System™ (Cisco UCS™) combines Cisco UCS B-Series Blade Servers and C-Series Rack Servers with networking and storage access in a single converged system that simplifies management and delivers greater cost efficiency and agility with increased visibility and control. The Cisco Unified Computing System™ (Cisco UCS®) combines Cisco UCS B-Series Blade Servers and C-Series Rack Servers with networking and storage access into a single converged system with simplified management, greater cost efficiency and agility, and increased visibility and control. 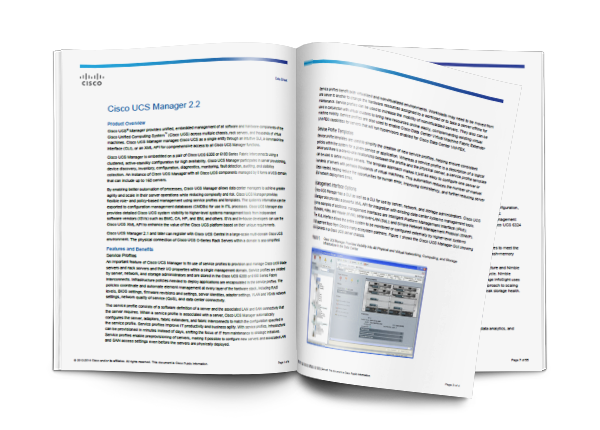 One of the newest servers in the Cisco UCS portfolio is the Cisco UCS B200 M4 Blade Server. 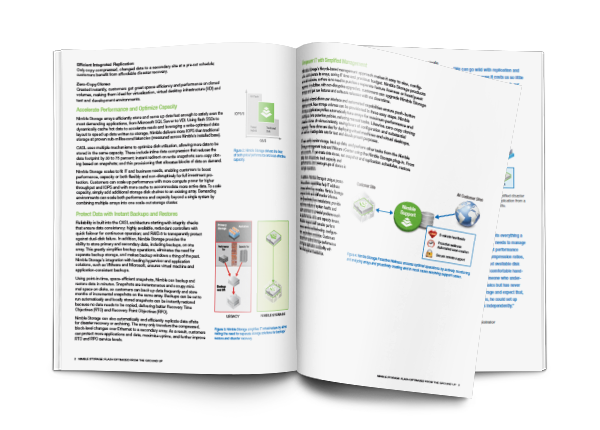 and visibility across a range of bare-metal, virtualized, and cloud computing environments. 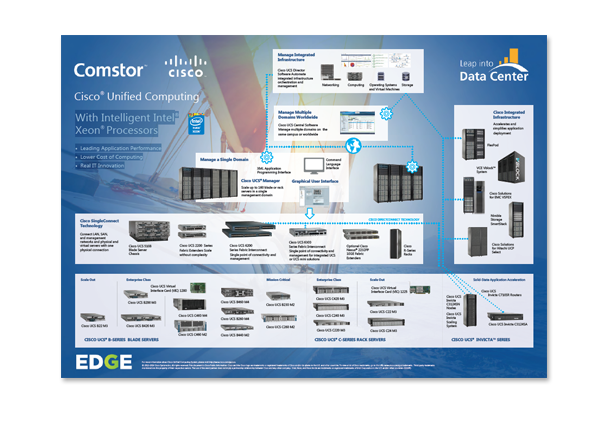 The Cisco Unified Computing System™ (Cisco UCS™) is a next-generation data center platform that unites computing, networking, storage access, and virtualization resources into a cohesive system designed to reduce total cost of ownership (TCO) and increase business agility. The system integrates a low-latency, lossless 10 Gigabit Ethernet unified network fabric with enterprise-class, x86-architecture servers. The system is an integrated, scalable, multichassis platform in which all resources participate in a unified management domain. The Cisco Unified Computing System™ (Cisco UCS®) is a next-generation data center platform that unites computing, networking, storage access, and virtualization resources into a cohesive system designed to reduce total cost of ownership (TCO) and increase business agility. The system integrates a low-latency, lossless 10 Gigabit Ethernet unified network fabric with enterprise-class, x86-architecture servers. The system is an integrated, scalable, multichassis platform in which all resources participate in a unified management domain. 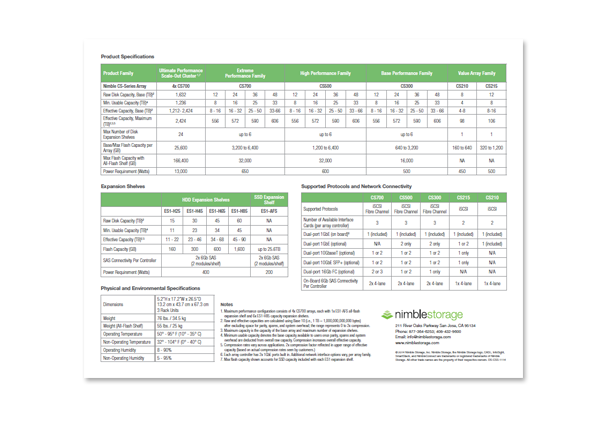 Nimble Storage arrays are the industry’s first flash-optimized storage designed from the ground up to maximize efficiency. Built on the patented Cache Accelerated Sequential Layout (CASL™) architecture, Nimble Storage features scalable performance, unparalleled efficiency, integrated data protection, and simple push-button management. As a result, customers can run more workloads and backups with less storage infrastructure, and empower IT to take on new projects with higher returns. As the transformation of the data center continues, the demand for IT to move faster has never been greater. With the Internet setting customer expectations for immediate delivery and with data volumes rising dramatically, IT can no longer take weeks to provide the infrastructure and services their customers expect.